On Oct. 30, Michael A. Enomoto, FAIA, received the prestigious Gold Medal Award from the American Institute of Architects Los Angeles Chapter (AIA|LA) for his lifetime of achievements in furthering the profession of architecture. Enomoto, who accepted the award at the AIA|LA Design Awards gathering of nearly 500 architects at the historic Egyptian Theatre in Hollywood, is well known for his collaborations with famous design architects from around the world. His credits include the U.S. Embassy in Berlin, U.S. courthouses in Fresno and Santa Ana, the Renée and Henry Segerstrom Concert Hall in Costa Mesa at the Segerstrom Center for the Arts, and the 1993 Los Angeles Convention Center Expansion. He also worked with then-Mayor Richard Riordan on the development of design solutions for both the Disney Concert Hall and Staples Center to make previously unimagined projects a reality and impetus for growth in Downtown Los Angeles and its South Park commercial district. Enomoto is the managing partner at Gruen Associates, a local legacy architectural firm with great influence on Los Angeles’ cityscape today. In addition to the Olympic and Northeast police stations for LAPD, his firm designed the Terminal Islanders Memorial in the Port of Los Angeles and the Terasaki Budokan L.A. Sports Complex — the long-awaited gymnasium in Little Tokyo. Enomoto is past president of the AIA|LA as well as the AIA California Council (AIA|CC). 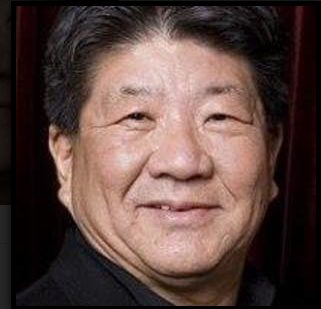 He is also past president of the Asian American Architects/Engineers Association (AAa/e) and AAa/e Foundation, and continues to serve on the Board of Directors. Gruen Associates has a portfolio of landmark projects spanning more than 72 years. Their buildings enhance the urban landscape and shape the built environment for millions of users. Gruen is the recipient of the 2015 AIA|CC Firm Award from the AIA California Council, a coveted award from which peers have recognized the firm’s collaborative practice — architecture, planning, interiors, landscape architecture and urban design — portfolio of over 10,000 projects, contribution to the architectural profession, and pivotal role in mentoring future generations of professionals. For additional information, visit www.gruenassociates.com.